Kuala Perlis is the main port of the Perlis state, Malaysia. It is situated in the very end of the northwest area of the Peninsular Malaysia and within close proximity to the border of Thailand. Being widely known for its seafood dishes and ‘laksa’, Kuala Perlis is famous for being home to authentic and tasty food. But there are also a number of interesting points within this town. One of the most preferred way of traveling to this fishing town is by taking a bus to Kuala Perlis. And since it is a considerably small town, there is only one known main bus terminal which is the Kuala Perlis Bus Terminal, located near the Persiaran Putra Timur. 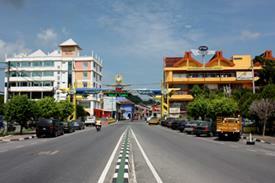 As an added advantage, the bus terminal is just about a 5-miute walk to the jetty known as Kuala Perlis Ferry Terminal. The Kuala Perlis Ferry Terminal serves as a link to the Kuah Jetty in Penang. 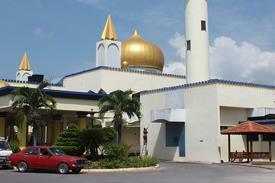 But don’t be hasty in leaving town before discovering the good traits of Kuala Perlis itself. Another one of them would have to be the fact that if you visit some of the seafood joints near the coast, you can have the experience of picking your own sea critters to feast on and ask the chef to cook it just the way you like it! Some other dishes available in Kuala Perlis that’s you should try are from Kak Su Laksa Beras, Medan Ikan Bakar Kuala Perlis, Shah’rin Corner and T Restaurant. There is only one main bus terminal here which is the Kuala Perlis Bus Terminal, located near the Kuala Perlis Ferry Terminal, which travels to the neighbouring coastal city of Kuah, Pulau Pinang. Some of the buses that arrives at the Kuala Perlis Bus Terminal are Etika Express, Plusliner, Eagle Express, Konsortium Bas Ekspress, Transnasional, Star Qistna Express and more. Al Hussain Floating Mosque, Kota Layang Museum, Nipah Kipli Farm, Medan Ikan Bakar Kuala Perlis, Kota Layang Museum, Snake & Reptile Farm, Perlis State Park. Book your tickets for the bus to Kuala Perlis today!